Are you struggling to deal with squatters in your residential or commercial property? Our experienced bailiffs can work with you to carry out all kinds of squatter evictions. Whether you’re dealing with local squatters or previous tenants, we are here to help. If you need to clear your property following unauthorised occupation, completely legally, call the Bailiff Company today. Here at the Bailiff Company, our experienced team can work to quickly and legally remove squatters from your property. Thanks to our squatter eviction services, any commercial squatters can be removed in jury a few short days. Our certificated agents can deliver a range of services to help you evict squatters from your commercial property. In some cases, our bailiffs will need to get in touch with the police to safely carry out the squatter eviction. Our CEA officers may need to acquire a possession order which allows us to reinforce your possession of your residential or commercial property. As part of our complete services, our bailiffs and CEA officers will help you to obtain a Possession Order. We can then ensure that the PO is transferred into an actionable writ. We only carry out completely legal squatter evictions, to ensure that you are not left open to legal action. Whether your eviction or removals project requires the attendance of the police or not, we are here for you. Our experienced team of bailiffs can work with you to legally remove squatters as quickly as possible. Our certificated enforcement agents can deliver a wide range of squatter eviction services, including commercial and industrial removals. Once we have access to your property, our bailiffs will be able to evict squatters taking up residence. If the squatters are not present when we enter, we will change the locks and board up vulnerable entry points. This prevents the squatters from re-accessing your property. As part of our industry-leading service, our bailiffs can help people across England and Wales to reclaim their property from squatters. Whether the squatter is a former tenant or local squatters, our experienced team are here for you. Can I Evict Squatters Myself? No. It is important that you do not try to evict squatters yourselves. This can be considered an act of violence. To remain on the right side of the law, you need to get in touch with a trained, professional bailiff team. Our bailiffs will acquire an IPO on our behalf and transfer the order to a writ. We can then provide safe, legal squatter eviction services. What is an Interim Possession Order (IPO)? An interim possession order is an order which allows you to reinforce your possession of a property. As part of the IPO, they will also send you documents which must be delivered directly to the squatters. This legal order gives you the right to remove squatters if they don’t leave your building within 48 hours. At the Bailiff Company, we are proud to deliver a comprehensive squatter evictions service. 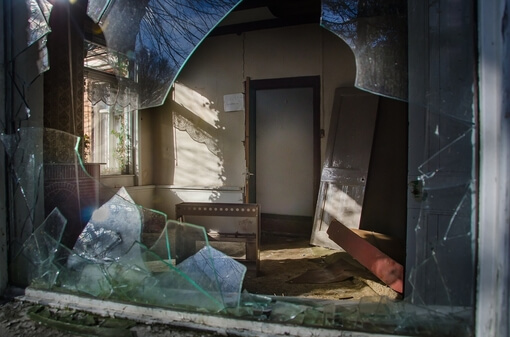 We can help you to safely and legally evict squatters from commercial properties. Our experienced bailiffs will work with the police or council bailiffs where required to remove squatters without causing any damage to your property. Over the years, we’ve been able to help commercial property owners to remove squatters from their property. 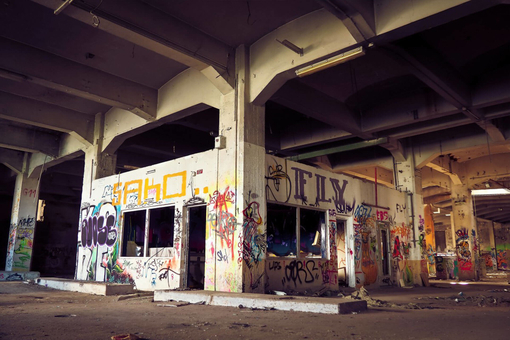 Over time, squatters can cause a great deal of damage to your building, leading to costly repairs. To keep your house or business premises protected, get in touch with our experienced team today. Our bailiffs will guide you through the entire process to ensure your project is completed safely and legally. For Legal, Cost-Effective Squatter Removals, Call the Bailiff Company Today! If you’re struggling to deal with squatters or other kinds of trespassers on your property, we are here to help. If you’re struggling to deal with squatters in any property, get in touch with our team today. We will guide you through the entire process, and ensure you remain within the remit of the law. For more information, don’t hesitate to all our national team today. You can use our quick online contact form, and we’ll get back to you as soon as possible.